If you are the kind of parent that plans ahead, then the first day of kindergarten will not take you by surprise. When the big day arrives, the clothes are all bought, the list the school gave you is complete, teachers conferences are done and you may have even used the last few months before school to help your little one bone up on the alphabet, on her numbers, shapes and colors so that step into a formal educational setting will not be such a shock. It’s like an invasion in a way. You are the General and you are preparing your troops to invade a foreign land to achieve an objective. The difference is the foreign land is not necessarily hostile, it’s a kindergarten room. And the teacher, administration and even other students there on that first day not only don’t want you to fail, they want to be your team to help your little one do great. The other difference is your invasion force is not a seasoned team of soldiers, it is that sweet little five year old boy or girl with a slightly terrified look in his or her eye. But like any good General, you do have to be prepared for the unthinkable. You may make a lot of good speeches about how” failure is not an option”. But any parent who does not think about what can go wrong and how you will prepare for it and respond is setting themselves up for a catastrophe in the event something doesn’t go perfectly. But if you are ready for the worst, then your child can still have a great first day at school and get around the problem that otherwise might have ended badly. The first thing that springs to mind when it comes to accidents or something that might go wrong is with the wardrobe. In all the excitement and nervousness, if your child spills either on the way to school or during school and soils her garment to where it is not suitable for using the rest of the day, you might get that phone call to come and get your child. You don’t want to have to take your child out of the classroom until it is absolutely necessary. You put so much time and effort into building up this big day that to your little boy or girl, if they have to leave the school during the day, it will seem like a tragedy even if it’s only for the day. The solution for the wardrobe problem is one you may have already thought of which is to send a change of clothes. By keeping emergency clothing at the school in your child’s locker at all time, it is always there for her to change into and not see a major disruption to her school day. Another crisis that can come up at the last minute is the sudden emotional meltdown of your child. If she becomes hysterical with worry or overwhelmed by the newness of it all, it can be a serious issue if you in the drop off line and you need her to go on in to school. This is not at all unlikely even if you feel your child is not the kind of kid who melts down that easy. The build up to the day and all the new cloths and the excitement can suddenly change course and create an emotional train wreck as your child looks out of the car door at the school door she must go through to start her new life. But by having a plan, you can even deal with this. Often such melt downs are temporary. You can pull out of the drop off line and park the car and comfort the child. Above all don’t make her feel badly. Then if she knows its ok, she might recover and go on in. Worst case – you walk her in. That is not a catastrophe at all. Your child must learn to cope with crisis. It is as much part of learning as books and assignments. And if she takes her cues from you that there is no crisis that cannot be adjusted to and no issue that cannot be solved, that will be a source of comfort and strength on that first day of school and for every day thereafter. We all want to connect and be involved with our child. Children of involved parents generally feel more confident, assured and have a higher level of self esteem. They excel in school and do well in extracurricular activities and with their hobbies. But is there such a thing as too much involvement? It’s imperative when you’re becoming involved with your school-aged child’s activities and academics that you recognize the line of what being too involved can be. Remember, you’re becoming involved in your child’s life. It’s important that you don’t intrude too much upon it. 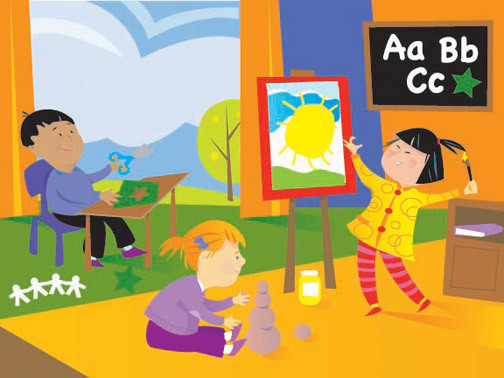 Children need their space and privacy and they need to be able to develop their own skills, talents and abilities. In our eagerness to help our child succeed, it’s tempting to want to step in and start doing things for them because you feel they are doing it incorrectly or inadequately. But remember, you had to learn too, and this is their chance to learn on their own. Be there to encourage and support your child, and offer praise at a job well done. But also remember to step back and allow your child to learn from their own mistakes, and to develop their own way of doing things. We all know from our own life experiences that there’s always more than just one way to do something, and just because your child is doing it differently than you would doesn’t make it wrong. Who knows, it could present a terrific opportunity for you to learn from your child as well. In addition, try not to become too overbearing or nosy when it comes to their social life. Be available for them should they need to talk and encourage them to share their troubles with you so you can help them sort through a problem. But if they say they don’t want to talk about it or they just need some time to figure things out for themselves, respect that need by letting them know you’re available whenever they need you. This is an important part of growing up and allowing a child to figure his own way through things is an integral part of that process. 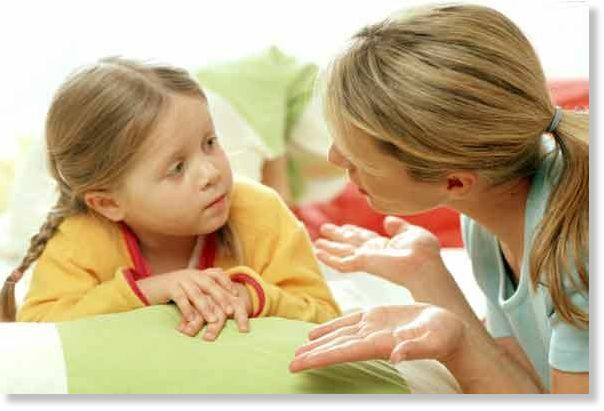 Talk to your child, and explain to them in age-appropriate terms how they are communicating and why their method doesn’t work. Show your child how to communicate effectively, even when the questions are hard. Make yourself an active listener. Let them voice their opinion or side of the story and ask questions to ensure you understand their viewpoint. Be constant in the manner in which you communicate with your child. Send the same message with each and every interaction. Allow your child to see that you will call their attention to those times that the unwanted behavior rears its ugly head.Kids will be kids and they will sometimes be distractive and non-communicative. You are the expert in knowing your child’s behavior and can best judge the improvement in their communications. The best way to ensure healthy communication patterns is to model positive communication skills. 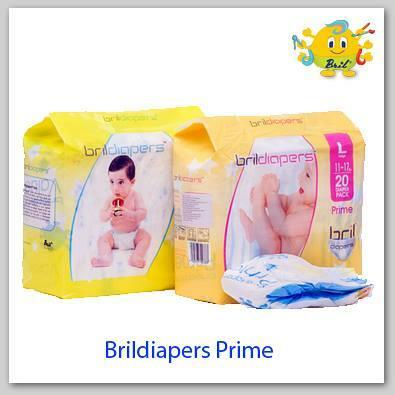 Win 1-Year Supply of Brildiapers Prime for your Baby! Win 1-Year Supply of Brildiapers Prime for your Baby! Imagine winning 1 entire year’s supply of the world’s best, thinnest and most breathable diapers for your little one! Yes you can win 1-year’s supply of Brildiapers Prime – diapers that are manufactured using the best hand-picked raw materials from Germany and USA to protect your baby’s sensitive skin. This is an effort based contest. You get 1 credit for participation and 10 credits for participation by a person you shared the contest with. Share with as many people as possible to increase your chances of winning. Please confirm participation by clicking on the link sent to you by email after you fill in your details on the top right. Social skills is an area of deep concern when it comes to homeschooling. Many critics point out that since man needs to hone his social skills, a homeschooling environment where social interaction is limited is detrimental to his growth and development. But studies have proved this wrong.Children put into the fiercely competitive school environments lack the confidence to hold a conversation. Such children show little genuine interest in the topic of conversation and don’t know how to interact with people of various age groups, especially their elders. Children who learn at home are more aware of the implications and the purpose of their learning. They will ask intelligent questions and make accurate observations. Children begin their life by imitating their parents. 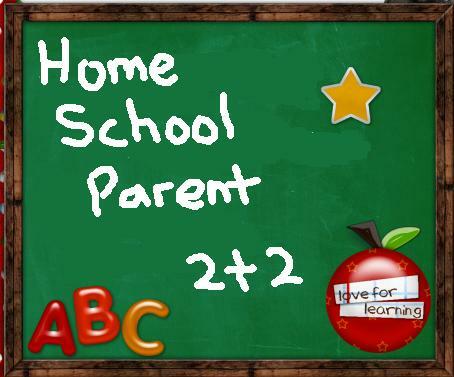 Homeschooled children therefore pickup the sterling qualities they see in their parents. On the other hand, they are protected from the detrimental influences of their peers. embarrassed or ignored in a normal school environment strengthens their self-esteem. Children turn out to be better balanced andwell-rounded as they progress into adulthood. 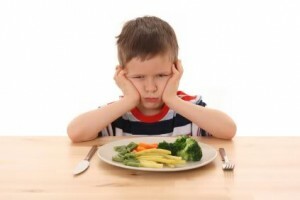 Toddlers can be fussy eaters who refuse to try new food atleast half of the time. Approximately half of all toddlers fit this description, so it is no wonder that food issues are a source of stress for parents.Establishing a healthy eating pattern is important to avoid problems such as obesity and eating disorders later in life. Various strategies can help your child accept a wider range of foods. It may be necessary to offer a food to your child as many as ten different times before they choose to eat it. The problem is, many parents get frustrated and give up before the fourth or fifth try. If your child seems healthy and energetic, then they are eating enough. If you are still concerned, keep an eye on how much food they actually eat over the day. 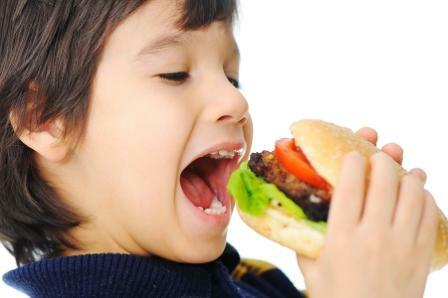 Children tend to graze constantly, rather than restrict their eating to three meals per day like adults. You may be surprised how those little handfuls and snacks add up. For further reassurance, check your child’s growth and weight charts, or check with your child’s paediatrician.Try not to worry, and remember, that unless a child is ill, they will eat. Children are very good at judging their hunger and fullness signals. Try to stay relaxed about mealtime and offer your child a wide variety of foods, and most importantly, remember to set a good example by trying a wide variety of foods yourself. You may discover you and your toddler share a new found favorite food! But you can also teach your child good hygiene habits at home and engrain them in her lifestyle so they will stick with her even when she is at kindergarten and she doesn’t have you there to protect her. This includes good bathroom habits, an obsession with washing her hands as often as possible, being aware of others who are sniffing and who may not be taking good care of themselves to avoid contamination and using good table habits so the foods your child eats are clean and safe for consumption at lunch. Good lifestyle habits at home will benefit the child at school as well. This includes a well developed schedule of getting at least eight hours of sleep each day and a regular diet of all the major food groups, particularly fruits and vegetables as these foods will give your child’s body the defences it will need to ward off illness if there is an exposure to germs. Good dietary habits will be something that is taught as well as enforced at home. You can send your child a lunch to assure that at least she is taking the right kinds of foods. But the best defence is to make sure your child is aware of her own nutritional needs as it pertains to resisting illness so she also eats well when getting food from the cafeteria and stays healthy and regular every day.You don’t want to send your child to school paranoid or afraid of other people. But some simple rules of how to interact with others in a way that is social but not risky should be part of your training as you raise the child. Just as you know not to eat after someone else using the same utensil, not to eat anything that has been on the floor or not to eat anything that you don’t know the origin of, these are basic health rules that children may not know if they are not taught. So be a conscientious parent and equip your child to avoid hazardous hygienic situations. Even if they are innocent dangers, they are dangers none the less.The health preparations for kindergarten includes things parents can control at home such as check ups, getting good sleep and nutrition and gong to school healthy and clean. But they also include things you teach your child so she can keep herself safe and healthy even in the middle of a large group of other kids. By giving her these skills from the first day of school going forward, you are doing your job as good parents to assure she is ready for school each and every day from kindergarten all the way through to college graduation. 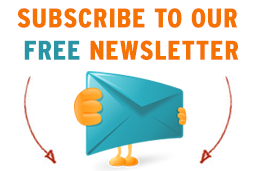 Re-published with permission from the blog of ParentEdge, a bi-monthly parenting magazine that aims to expose parents to global trends in learning and partner with them in the intellectual enrichment of their children. Our goal when disciplining our children is to teach them to be responsible, cooperative, kind and respectful. The best way to teach this is to always remain consistent, follow through with the same punishment for the same misdeed, and to discuss the discipline with your child openly and honestly afterwards. Always keep in mind that the age, maturity level, and temperament of your child should always be considered when enforcing a set disciplinary action. Disciplinary actions should be discussed and understood in advance so that children know what they have coming when they’ve misbehaved and can give pause and hopefully choose an appropriate route to avoid it. And most importantly, remember that it’s not the child you dislike; it’s his or her chosen behavior, action or misdeed. If you need to, give yourself a brief ‘time out’ before responding with appropriate discipline. Sometimes we need a short cooling off period before dealing with our children’s misdeeds in order to avoid a misdeed of our own. Yelling and hitting should never be an option. Keep an open mind as a parent, and be willing to learn with and from your child. We all make mistakes and it’s important to realize that not every form of discipline works with every child. Children are just as unique as adults are, and forms of discipline should be tailored to fit the individual needs of both parent and child. But with a little forethought, patience, firmness, love and understanding, the discipline can have a positive outcome for all involved. 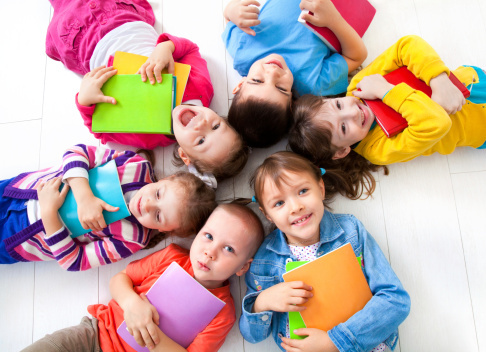 Many children’s games and books focus on helping your little one learn colors, shapes and other basics that will be good to have a firm grasp of before they reach kindergarten. You can make a game of knowing the color names and you will be surprised how quick witted your child is and able to pick up not just the basic 5-10 colors but many nuances of color as well. The same is true of shapes. While a child may have trouble saying “octagon”, don’t underestimate their ability to learn the names of the various shapes of their toys and blocks. You can use play and reading time to also help your preschool child get a good grasp of the alphabet, how the letters look and numbers and counting. These will all be excellent basic skills of kindergarten that will make the step into formal school easy and smooth for your child. In fact, it isn’t out line to expect that your preschooler could learn to sign her name and do some basic letter shaping exercises before she starts kindergarten. How great would it be for her not only to have these core skills and areas of knowledge well in hand before school starts but to be able to start with that much confidence that she is smart and ready for school? That kind of confidence translates into big time success for any student starting on a big new adventure. But reading is also one of the best ways to improve your child’s vocabulary and ability to speak clearly and expressively. Don’t be surprised if you find your child with books open early and often because you took the time to read to her even before she starts at kindergarten. And that love of learning is something that will stay with that child for the rest of her life. What a wonderful gift. If your child loves to run and play as is very common in young children, you can use that to help them develop strong motor skills which will help in dozens of ways in school. Hand eye coordination not only will help your child do well in gym and playing sports, it will help in learning to write and many other related physical dexterity challenges that she will face in school. By looking at many of life’s simple pleasures that you enjoy in raising a preschooler as also opportunities to develop your child intellectually, physically and even socially in preparation for kindergarten, you are giving your baby wonderful skills, knowledge and abilities that will pay off big when kindergarten starts officially when she is five. And you will be thrilled to see her naturally step into the formal school world so well and begin to succeed because you took the time to get her ready well ahead of time.